Experience beautifully fresh-looking skin in an instant. 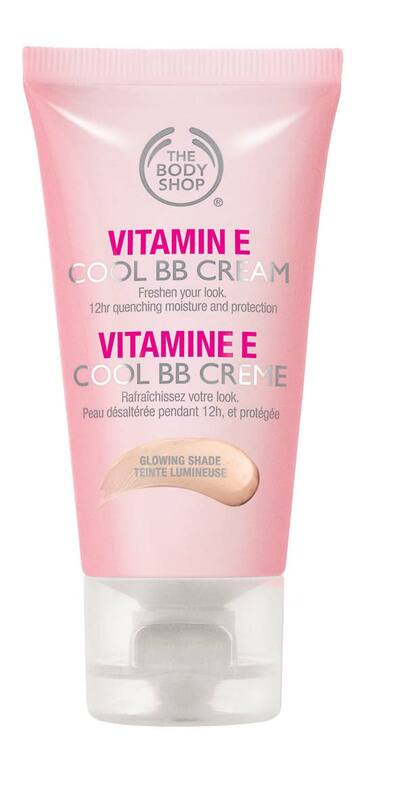 Vitamin E COOL BB Cream illuminates evens and corrects your complexion for a refreshed skin-look. What’s more, this hydrating BBCream drenches skin with moisture for 12 hours. Skin feels wonderfully comfortable all day long. Ever unsure of which shade to pick? Never fear. Vitamin E COOL BB Cream has one shade and an ultra-bendable texture for luminous, natural-looking coverage. It’s so easy to apply and lightweight to wear, it looks and feels like you’re an au naturel, bare-faced beauty. Vitamin E COOL BB Cream is enriched with wheat germ oil, one of nature’s richest sources ofVitamin E.
Meet Our Other Vitamin E Heroes! For refreshing, moisturising skincare for all skin types, try these wheat germ-enriched skincare champions from our Vitamin E range. It’s our best-selling skincare range… so we know you’ll love it! We make our products with love and care. We source some of the finest raw ingredientsfrom thefour corners of the globe. We harness the skills of artisan farmers and add our expertise to create effective products that are wonderful to use.